NICOSIA, Cyprus (AP) — The U.S. will soon start lifting a decades-old arms embargo on Cyprus because Washington acknowledges the Mediterranean island nation’s contribution to bolstering regional stability and security, the Cypriot foreign minister said Friday. Foreign Minister Nikos Christodoulides said that Washington sees the “added value” of allowing Cyprus to acquire military equipment that would help enhance its capabilities to boost regional security. The embargo was imposed in 1987 with the aim of preventing an arms buildup that would hamper diplomatic efforts to reunify divided Cyprus. The island was split along ethnic lines in 1974 when Turkey invaded in the wake of a coup aimed at union with Greece. Christodoulides said the process to lift the embargo has been set in motion in the U.S. Congress, reflecting a “positive shift” in that Washington no longer views Cyprus solely as an unsettled conflict of ethnic division. 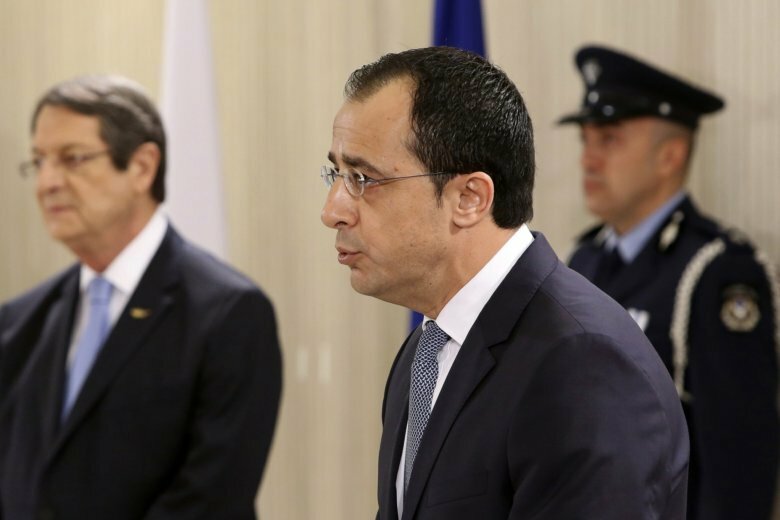 “This is proof, if you like, of the recognition by the U.S. administration of the positive role that Cyprus plays as a pillar of stability and security in the broader region,” Christodoulides told The Associated Press. Heightened U.S. interest in the gas-rich east Mediterranean has apparently irked Russia. The Russian foreign ministry last month warned against what it called “anti-Russian plans” of a U.S. military buildup in Cyprus in order to counter Russia’s growing influence in the region. Cyprus regularly offers its facilities to countries — including the U.S. — that have asked to carry out humanitarian missions, he said. He said the U.S. and some European Union countries are keen to join energy-based partnerships that Cyprus and Greece have established with neighboring countries — including Egypt, Jordan and Israel — that are expanding to include Lebanon and the Palestinians. The U.S. Geological Survey estimates that there are 122 trillion cubic feet of gas in the east Mediterranean, with just over a quarter of that amount discovered in waters of Egypt, Israel and Cyprus. Offshore exploratory drilling continues along with talks on how to deliver that gas to European markets and beyond, either through onshore gas processing facilities or via pipelines. “I am personally convinced that hydrocarbons in the Eastern Mediterranean can become what the coal and steel was for the European Community,” Christodoulides said. Christodoulides said Cyprus is ready to negotiate its sea borders with neighboring Turkey, which has repeatedly warned that it won’t allow the country to infringe on its rights and those of breakaway Turkish Cypriots to the region’s gas reserves. Christodoulides dismissed Turkey’s claims as “totally unfounded,” adding that Washington and the EU fully support the Cyprus government’s rights to search for gas inside its exclusive economic zone. “I sincerely believe that it is only through dialogue and negotiations, and not through gunboat diplomacy, that peace and stability can be achieved in our volatile region,” he said.